These days, anyone can go on the internet and put up his own website. Lord knows there are hundreds of thousands of free web hosting platforms. Of course, not all of them will manage to make your site look eye-catching. Actually, most of them would probably look as generic as they come. And if it’s your first time to be setting up your own site, it can get overwhelming. This was the situation I found myself in a few years back. I know I wanted my own blog (based around Brisbane businesses). But I was hopelessly lost about what to do. The upside is the internet is just overflowing with tips for designing your webpage. The downside? Most of them seem to delight in being as technical as possible. It’s enough to make your head hurt. So after a few hits and misses, I decided to help out people like me and write what I have learned down. In words that won’t induce brain damage. And here they are. So, you’ve got your site. Is it time to launch? This is the time that you try to get feedback. Sometimes, what looks good to you may not be the same for someone else. You’d also want to test everything. You don’t want to be stuck with an active page that is full of errors and won’t even load properly. Everything done? Then it’s time to release your baby into the wild. Web design is not really the rocket science most would like you to believe. But it doesn’t mean it’s the easiest thing to get done, either. But it does get easier as you go along. And when you’re the best at it already, then maybe you can start helping out the newbies, too. And again, if you’re having any problems, have a search for website design Brisbane companies, there are plenty around! What is the very first thing you need to know about the whole web designing process? It’s not coding. It’s not even the actual design. It’s knowing what you want to build! You can’t embark on a project unless you clearly know your goals. For example, I wanted to have a blog site. It’s not as simple as setting one up, really. I needed to identify what sort of blog I want to have – what subjects will I be tackling? Who is my target audience? If you’re designing for someone else, you also need to learn about their brand and what their goals are for their audience. You need to check deadlines. You’d want to ask about budgets. Are you designing for computers or mobile devices? It also helps to visualize what you, or the client, want to actually see on the page. Once you have everything ready, designing may even seem a bit anti-climatic. It’s a pretty straightforward process. You just need the graphic creation tool of your choice and basically make the mock-up real. Do not forget, though, that websites are more than just home pages. Most forget that websites come with sub-pages, too. So design with that in mind. If you’re having any problems, check out MangoMatter, they are a Brisbane based web design agency and they know their stuff! Once you have a clear vision of what you want to build, it’s time to strategize and plan how to do it. Do your research – check rival sites to avoid using the same design template. Write down notes. Find out which appear on Google search results first and identify why they’re at the top. Create a mock-up – You can go low-tech and draw on paper. Or go techy and use your computer. It doesn’t matter, really. It just helps to finally get some of your visual down into something tangible. Pick your tools – What would be the best tools and apps to make your mock up a reality? Personally, this is what I had the most trouble with. I didn’t study coding at all. I didn’t have generic files ready, unlike most web designers. So perhaps the best thing to do is to learn the basics of HTML and CSS first and then create some basic starter codes. There are tons of tutorials available on the web. Once you’re comfortable enough to give it a shot, you’d want to start laying out headers, footers and content. These are your major sections. You can add text and image later on. What is it and how can you make it work? SEO/Search Engine Optimisation. You’ve surely heard the term before. The first time I heard about it was when I was asked to write an “SEO-friendly” article. I panicked, of course. Here’s what I know about it: through some sort of mumbo jumbo complex algorithms, the number of times I use certain “keywords” will make sure my piece ends up at the top of Google search results. So I peppered my writing with Brisbane related keywords as many times as I can get away with without sounding like an incoherent fool. Well guess what? It still didn’t make Google’s first page. Or the second. Or the third. The magic has eluded me. But I refused to back down. In hindsight, I realize I probably should have read up some more to understand what SEO is. And that’s what I eventually did. So what is it, really? How does it work? SEO’s purpose is simple. To help people who are looking for you to find you. Every time you enter a search term in any search engine like Google or Bing, it scours the millions of entries it has that contain the words you need. But how does some end up higher on the list than others? The answer is in the keywords. Google’s own Search-Based Keyword Tool uses actual Google searches to produce keyword results. Once you have your keywords, it’s time to make them convert to actual site traffic. How is that done? By using them on your content. Plain and simple. Search engine bots decide how to rank your keywords, and you’d have to learn to optimize the content to rank higher. A quick word about website codes: using keywords in titles optimizes codes. And each page with a unique title tag maximizes search engine results. Another thing: shorter urls tend to rank higher than longer ones. SEO is not just about keywords, unfortunately. In fact, links probably have more of an impact. Again, if you do a search for SEO Brisbane based companies, you’ll find a lot of good ones! The more websites that link out to your own, the higher your page will rank. Of course, those websites must be trustworthy and not spammy. How do you link the right way? 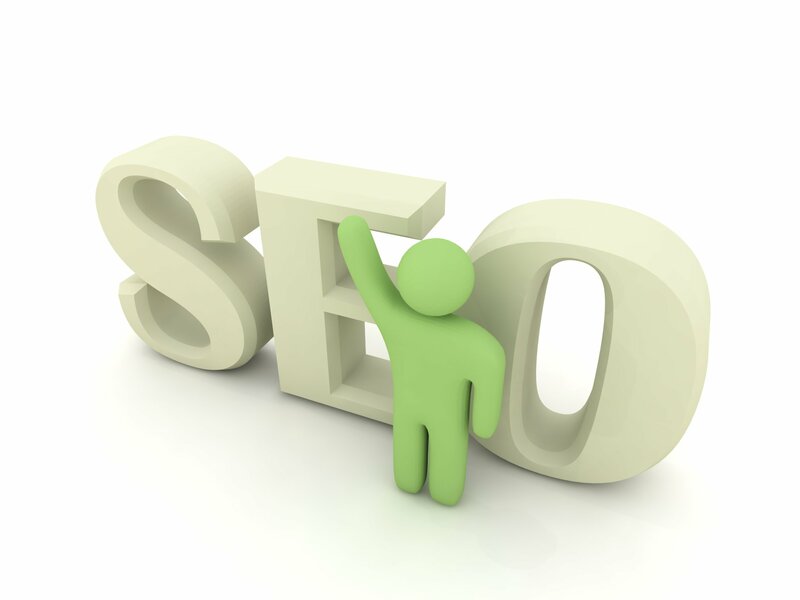 SEO was designed to increase site traffic. That’s true. The best way to utilize it? Determine what people are looking for. Create content that caters to that need. Keywords are just words unless you know how to make them work for you.